ThriveCart lets you easily set invoice branding on a per product basis. In your product settings under your Product > Pricing tab, you can check the box to customize your customer’s invoice. 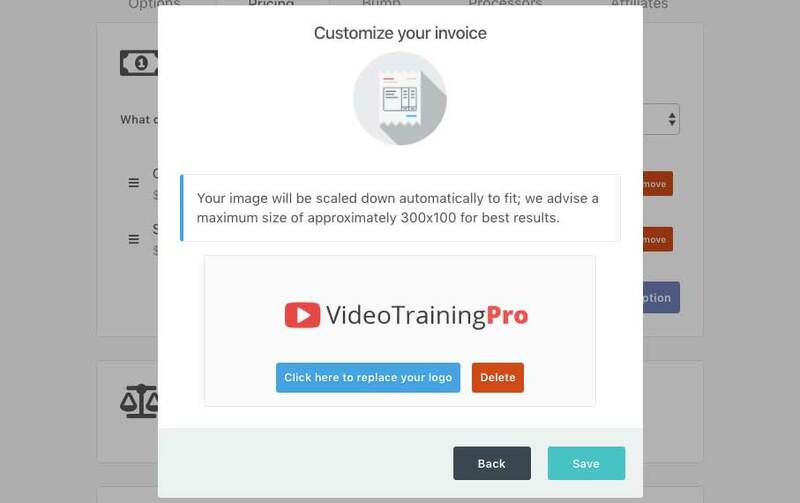 This then lets you add a logo and some additional welcome text specific to this product and includes it in the invoice sent to your customers when they purchase it. This is available for all accounts (standard and client license). Clicking Edit will open a modal window with a couple of screens for your settings. Details like who the email is from, your business name, address, phone number, tax ID, etc. are all taken from your profile and included in the invoice (when enabled). If you’re selling your clients products as part of your service to them, or if you have multiple businesses and want to have different branding on your customer’s invoices, then you will need to create an additional user in your account specifically for this client or additional business. The client license upgrade is required for this functionality. You can learn how to create additional user/client logins for your account here. 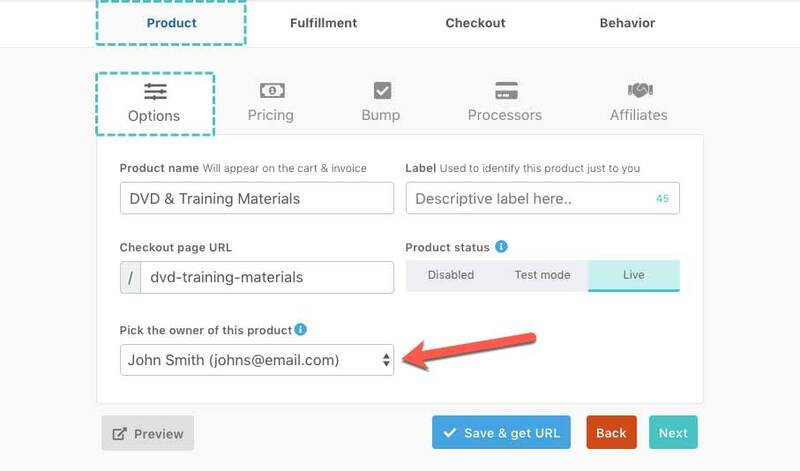 Then you can then set this user as the owner of the product (under your Product > Options tab). Sales notifications for this product are sent to the product owners email address (if enabled in their profile). The business name/name from this users profile is used to show who the email is from. The business information from this user will be included in the invoices sent to the customers (if enabled in their profile). If you have sales tax enabled on the product, the address information from this users profile will be used for the calculations. The customer is associated with this user’s customer hub. Note; to edit the profile information for this user/business, you will need to log in as this user. When you create the user for your account, an email is sent to the email address with the access details. If you have any further questions about setting the branding of your invoices then please contact the team directly.